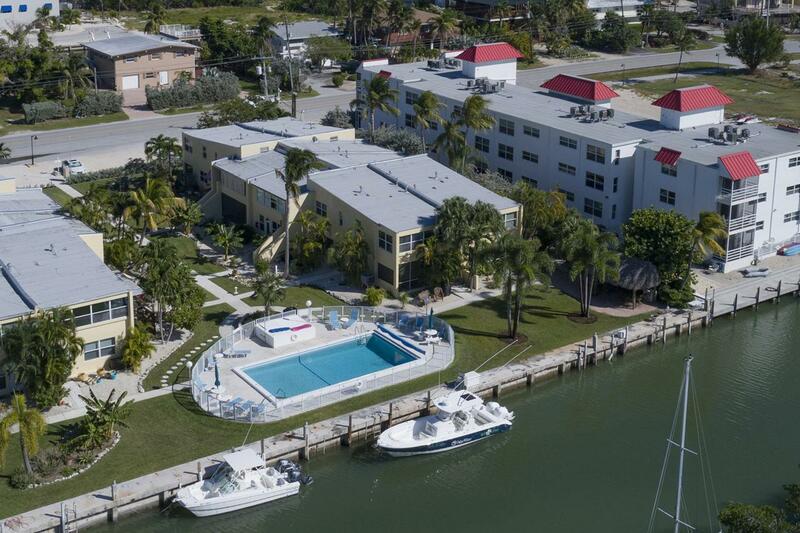 CANALFRONT, Two bedroom, two and a half bath condominium in the recently renovated complex of Lemon Cove offers meticulous updates to a buyer of discriminating tastes! Downstairs features living room, dining room, kitchen with stainless appliances and granite tops, half bath, two screen-in porches-one for storage and one overlooking the canal and near the tiki hut and pool. Upstairs features Master Bedroom en suite and office area, a guest bedroom, 2nd full bath, and laundry. Excellent improvements to complex Post-Irma! Listing courtesy of Laura Lynne Kennedy of Coldwell Banker Schmitt Islamorada.